Lent in the Christian calendar, is a season that invites us to reflect upon the health of our relationship to God, our neighbor and with the self we long to be. When taken seriously, it is an opportunity to identify those attitudes and behavior’s that don’t serve us well. In the early days of the English language, they used an archery term, ‘sin’, for missing the target, missing the mark. A ‘sinner’, was one who ‘missed the target’. I think we are each aware when we too, ‘miss the mark’. Perhaps we forget about God. Perhaps we think we are God. Perhaps we are indifferent or unkind toward a neighbor. Perhaps we no longer strive to become a better person (more generous, kind, forgiving, courageous, selfless etc. ). Lent invites us to cast off unhealthy attitudes and behaviors. In their place we are invited to explore and experiment with new ways of being that are in harmony with God, neighbor and our true self. 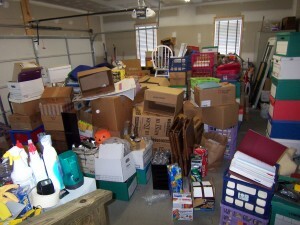 I’ve been thinking of this interior de-cluttering, as my wife and I have been preparing to move. We have lived in the same house for twenty years. It is amazing the ‘stuff’ that one accumulates. For the past month we’ve been jettisoning 20 years of ‘treasurers’ from our home. Our goal is to downsize by 1/3. I find that this process of de-cluttering, of letting go, has become a ‘spiritual practice’. It is a way of remembering and honoring where we’ve been, while making room for what will be. Sometimes, we have to remove the clutter in our mind and heart, to make room for that new work that God desires to bring about. It is often a difficult and emotional process. Inherent in this letting go, is the belief that God will be faithful and in time, bring a blessing into the newly created space. The Apostle Paul writes in I Corinthians 14: 33: “God is a God not of disorder but of peace.” This Lent I invite you to join me in making space for that new work, which God promises to bring. I wish you a blessed Lent. McMinnville, Oregon will have to rethink itself without the Harrops as part of its ethos! Rob, you are right, it is a time of discernment for FBC Mac as well. The good news is that the members have a clear sense of the core values which guide their path. Rob, all the best to you.